Cedar Rapids ICE agents arrest woman and hold her without bail even though she has papers to be in the U.S.
Update: On Oct. 18, ICE provided an email statement to Little Village that has been added to the story. “That doesn’t make sense,” Vondra, an Iowa City attorney who specializes in immigration law, told Little Village. In 2016, Natareno Ramirez fled Guatemala to escape domestic violence. Arriving at the U.S., border, she voluntarily surrendered to U.S. immigration officials and applied for asylum. After reviewing the facts of her case, U.S. Citizenship and Immigration Services (CIS) granted Natareno Ramirez humanitarian parole, and Natareno Ramirez traveled to Iowa to live with her family members. Since her arrest, Natareno Ramirez has been held in the Hardin County Jail in Eldora, which serves as a detention facility for people arrested by ICE. 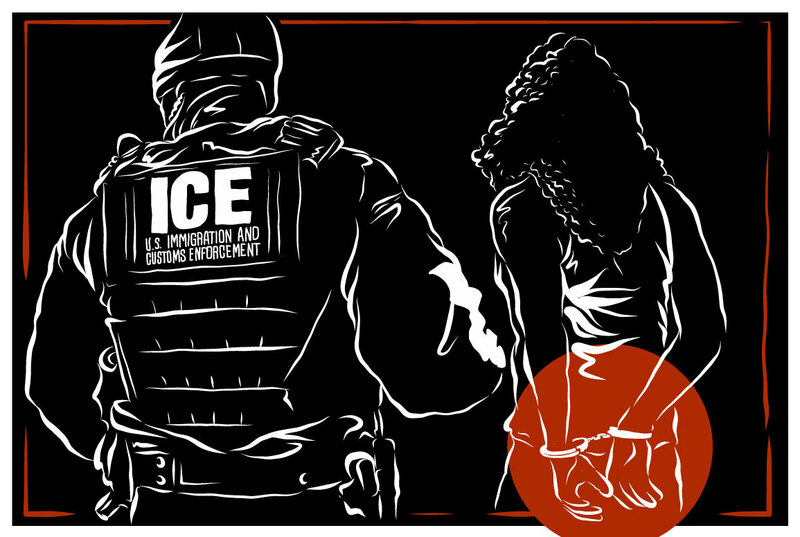 On Oct. 3, ICE deportation officers arrested Asucena Natareno-Ramirez, from Guatemala, and issued her a notice to appear before a federal immigration judge. She is currently in ICE custody until she pays an immigration bond or attends an immigration court proceeding. In the meantime, friends and supporters of Natareno Ramirez have organized a rally at ICE headquarters in Cedar Rapids planned for 3:45 p.m. on Thursday to protest her arrest and continued detention.